This is a rugged plant, well suited for harsh, dry conditions where other plants might fail. Narrow, grass-like leaves radiate symmetrically out of a large woody trunk giving the plant a sculptural feel. Through history the fibrous leaves were used for crafting baskets, making nets, mats, rope and other useful objects. Perfect for challenging hot locations near pavement or between building foundations and walks. 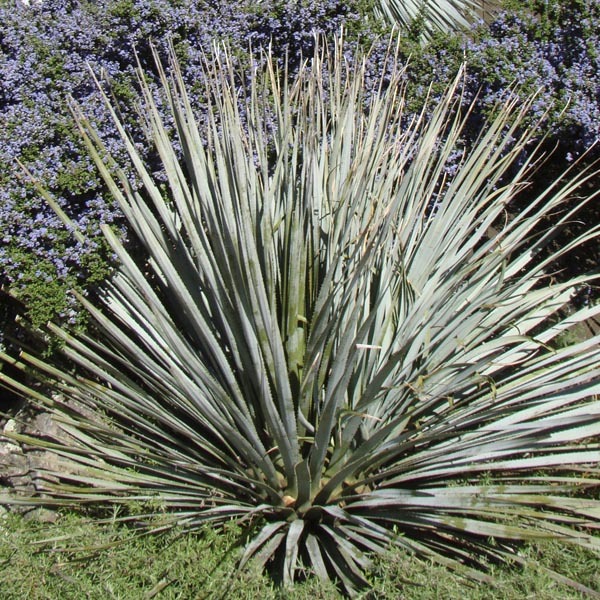 An excellent specimen, foundation, or border plant. Creates a pivotal accent point in any garden. Tolerates poor soil, heat, and drought. Does best in light, well-drained soil. Allow soil to dry between thorough waterings. Remove faded flowers or leave for winter interest.